From Donaghadee I headed south to the next townland of Ballyvester. Ballyvester has a bit of everything, from the Irish sea (can you spot the tiny bit of sea under the red postbox?) to hilly farmland. I explored Ballyvester at harvest time. 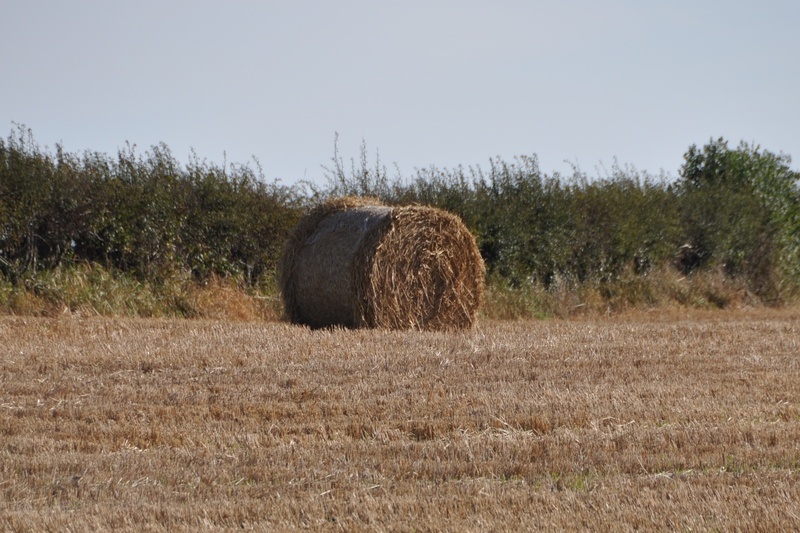 A lone bale was all that remained in this barley field. Every time I thought Ballyvester was entirely rural, I turned a corner and found more houses, including some using the townland name in Vester Cove. 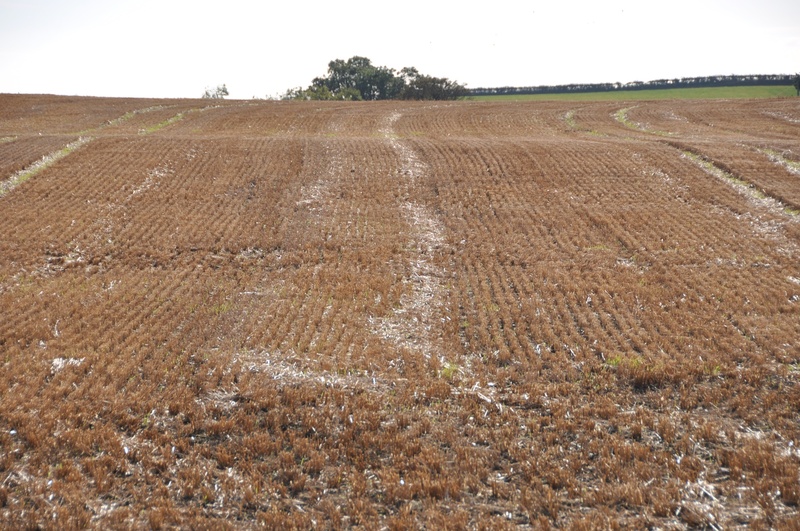 So it makes sense that this townland would have its own school. 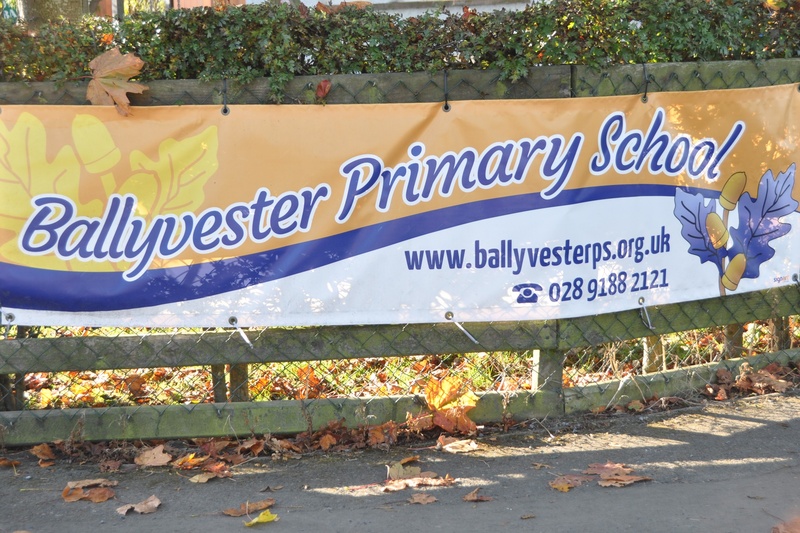 Ballyvester Primary School opened as a National school in 1842. It currently has 112 pupils, with a teaching staff of six. According to the PLACENAMESNI website, Ballyvester means “Wester’s townland” from the relatively rare English surname Wester. Over the centuries the spelling of the townland has wandered through all possible vowels, using “vaster”, “waster”, “westor” and more. As usual I went looking for the name on gravestones. This time I found a whole cemetery. 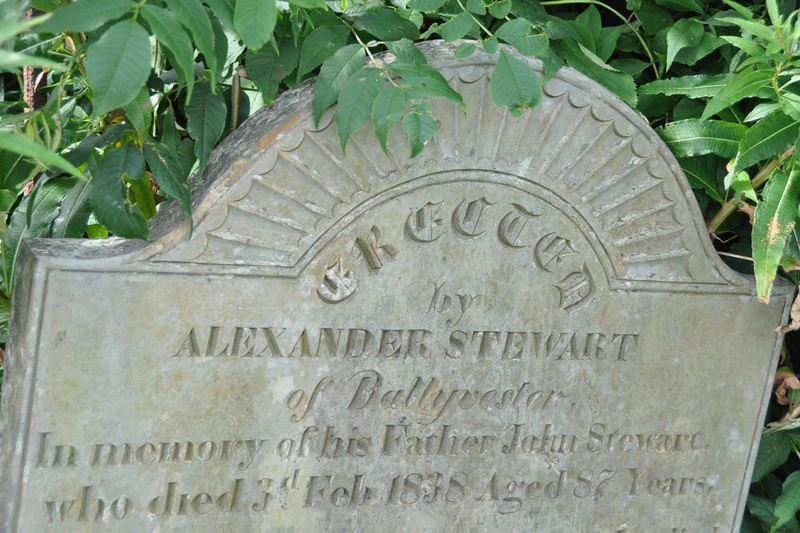 This headstone from 1838 for the Stewart family of Ballyvester is actually in Movilla graveyard, Newtownards. 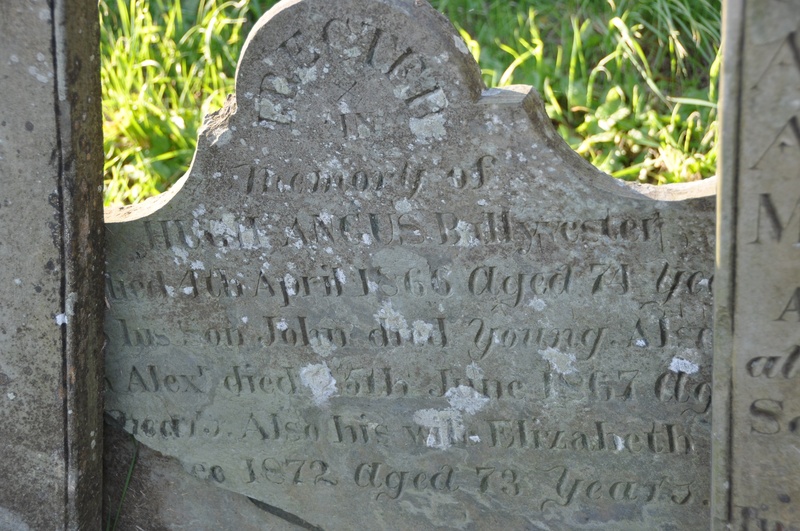 The next photo, of an old and broken stone for the Angus family, is from Templepatrick graveyard in Miller Hill townland, close to the southern boundary of Ballyvester. Click here for a link to a 19th century map of Ballyvester on the website of Ordnance Survey Ireland. 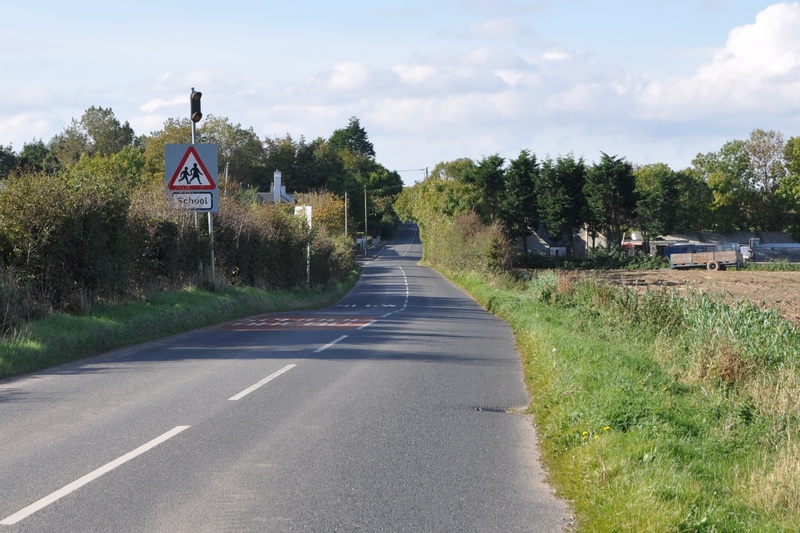 Which other townlands border Ballyvester? To the north, Town Parks of Donaghadee and (across Killaughey Road) Carryreagh and Ballyhay. To the west, Killaghy. To the south, Craigboy and Templepatrick. To the east, just the Irish Sea. 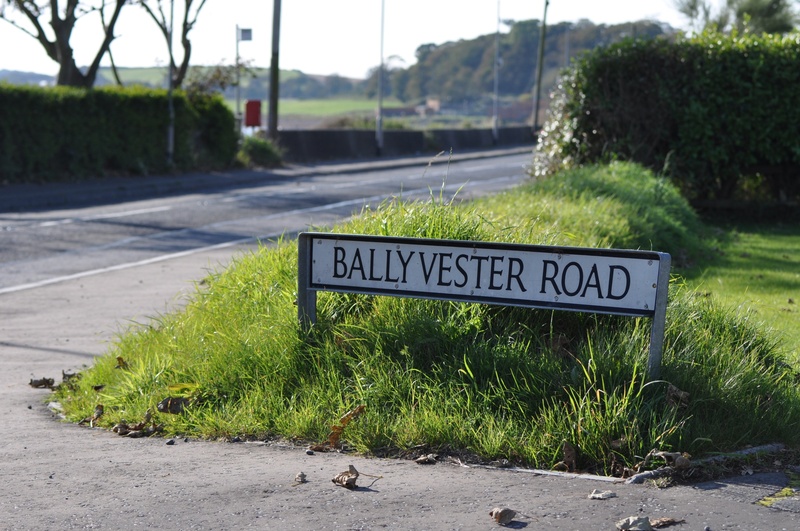 Which council area is Ballyvester in? Ards and North Down. Which county is Ballyvester in? County Down. 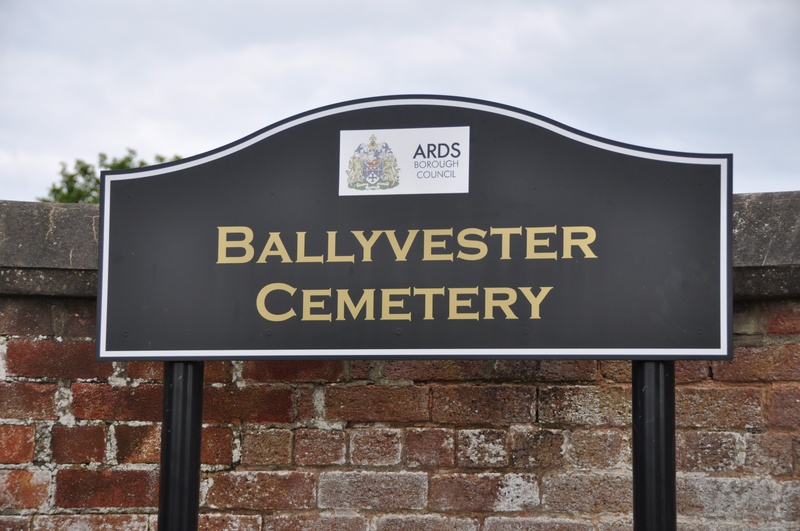 Finally, click here for the PLACENAMESNI website to read more about the history of the Ballyvester name. Thank you for that lovely comment. Ballyhay is on my list, but I just haven’t got around to it yet. When I do, I will look out for the fairy ring!